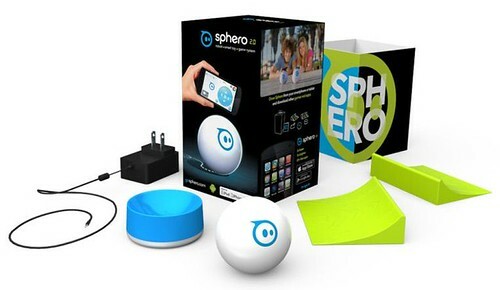 The first toy I played with was Sphero 2.0 – the robotic toy ball that’s taking the gaming industry by storm. 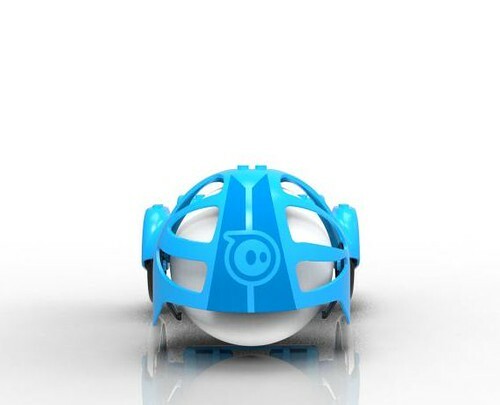 Sphero 2.0 is an interactive and programmable robot that is waterproof, pet-proof and as I found out, clumsy-proof. I’m one of those people that will go into a store and knock clothes off a rack, hit a display with my purse and leave my wallet in the dressing room so I should probably not play with breakable objects. Sphero 2.0 is an app-controlled and when I went to “drive” the ball using the display phone it ricochet off of the table onto the cement floor. I bear witness that this little bugger does not break. The company was started in 2010 by co-founders Ian Benstein and Adam Wilson, passionate robotics and software engineers. They found they were spending mucho cash on connected toys and decided to fuse emerging technology with the latest innovations in robotics to create their own line of products. These robots and the software allow them to create ever-evolving experiences changing the way kids and adults play, learn and explore the technology world. 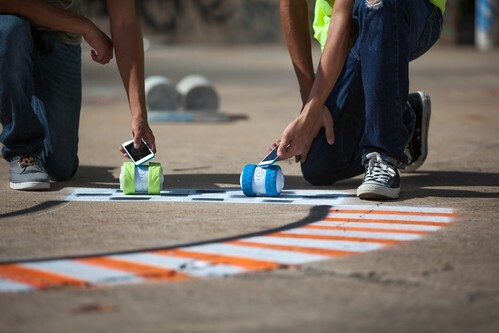 Sphero 2.0 reminds me of the race cars I used to play with when I was younger, just with more speed, agility and of course not controlled by a joystick. 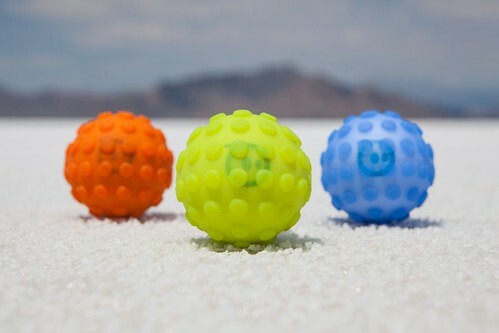 Each Sphero 2.0 is assigned its own color combination that gives it an identity. 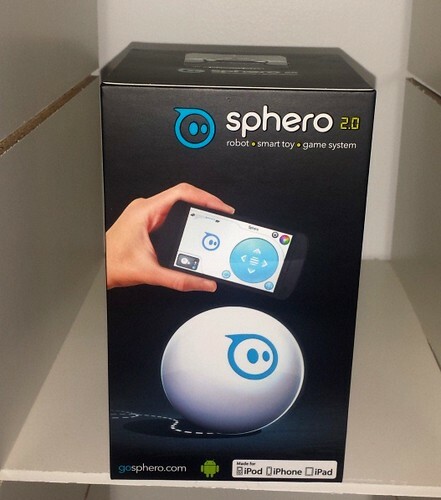 To awaken Sphero 2.0, you just tap the little ball and it is ready for action. Using the app you can change the color, roll it around, and make it perform some sweet spin and jumping moves. Since it is pretty indestructible (I’m sure a car or a very long fall would break it) you can also have it do moves on different terrain. 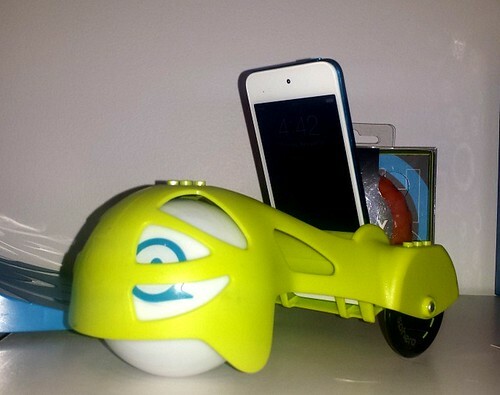 It comes with some sweet accessories as well including a chariot that can hold a go-pro or iPhone as it zips around attached to Sphero 2.0. Ollie is their other product along with the newer version… Ollie Darkside. 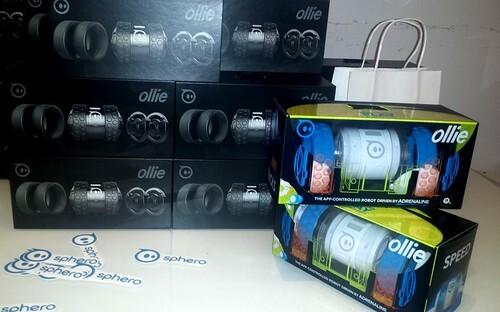 What I found most interesting is Ollie came to be by someone who hacked into Sphero 2.0. Like, what… I can’t even hack my way out of a paper bag! 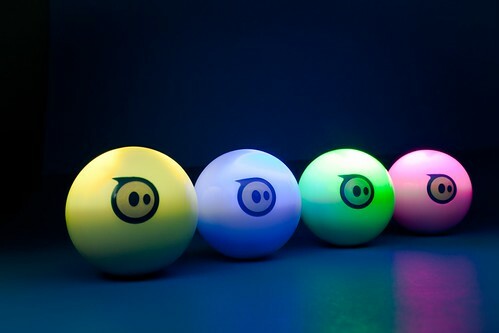 Actually, both Sphero 2.0 and Ollie are totally hackable, so buyers can go to town on the little ball and discover how it’s constructed. People make all sorts of cool projects out of these toys. Ollie can go up to 14 miles per hour and also do some sweet aerial jumps. 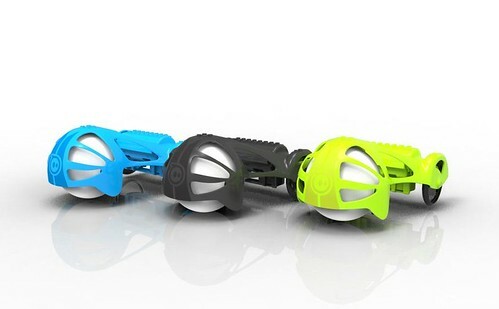 To charge both Sphero 2.0 and Ollie, you simple set it in the charging pod and allow it to give it juice for a while. 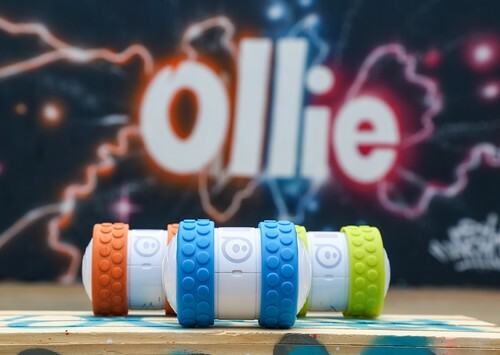 On Twitter and Facebook you can keep up with Sphero 2.0 and Ollie seeing how users are exploring and discovering robotics and technology while having fun!